which is difficult to interpret. Which after all, at least in the English translation, what precisely is difficult to interpret? The website containing ambiguous information? The rise in such websites? The pronouncement by the Russian Bureau of Consumer Protection itself? Of course the reader alert to matters of translation will be tempted to defer to the original text in Russian, and yet here the poem (and perhaps in the original as well) has precisely placed its finger in one of the great open wounds of the early twenty-first century: interpretation itself has become difficult, if not impossible, awash as we are in information, “Fake News,” and attempts to weave such detritus into an easy consumable narrative. There may be a there, there, but it is likely not the there we think it is. Poland, to Germany and Iceland. What is happening? What is going on? These read as unrelated bits of information whose sole claim to coherence lies in the fact that they are juxtaposed in the poem. Again, the reader takes up the increasingly impossible yet mundane task of interpretation. The volume itself contains both a Foreword by Kevin M. F. Platt and an Afterword by Sergey Zavyalov. 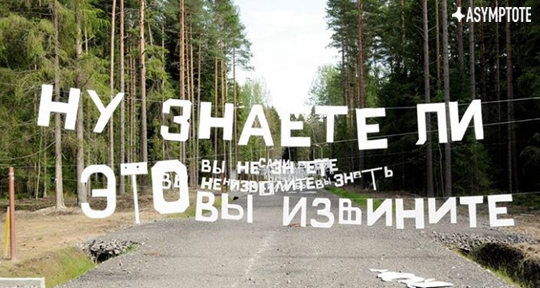 Staying true to the work’s content, the former is in monolingual English and the latter in monolingual Russian, a move which will frustrate some readers while producing in others a self-knowing smirk. Platt’s Foreword, “Pavel Arseniev’s Intervention in Lyric,” does an excellent job situating the poet, his politics, and his work within contemporary Russia, and provides the reader with a sense of the milieu in which Arseniev came of age in the early 2000s. The poems themselves are drawn from several volumes published from the year 2008 to the present, and definitely leave the reader wanting more. 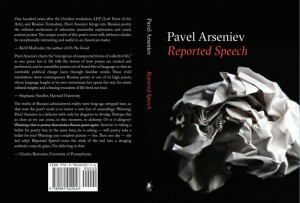 As a keyhole into contemporary Russian experimental poetry, the volume should find a broad readership in the English speaking world, and in the United States in particular, where the country’s political future (or lack thereof) is bound closer by the day to that of Russia, Putin, and his cadre of oligarchs. In essence, the book represents poetic strategies for resistance and survival under fierce oppression, underscoring that literature matters, as well as how it does things. Paul M Worley is Associate Professor of Global Literature at Western Carolina University. He is the author of Telling and Being Told: Storytelling and Cultural Control in Contemporary Yucatec Maya Literatures and with Rita M Palacios is co-author of the forthcoming Unwriting Maya Literature: Ts’íib as Recorded Knowledge (2019). Pavel Arseniev (b. 1986) is a Russian artist, poet and theoretician. He is also known for editing and galvanizing intellectual forces around the St. Petersburg-based journal of poetics and theory, Translit – an activity for which he received an Andrei Bely prize, Russia’s most prestigious literary award – and for inventing the slogan that became a rallying cry of the 2012 anti-Putin protests. His poems have been translated into English, Italian, Danish, Dutch, Bulgarian, Polish and Slovenian.